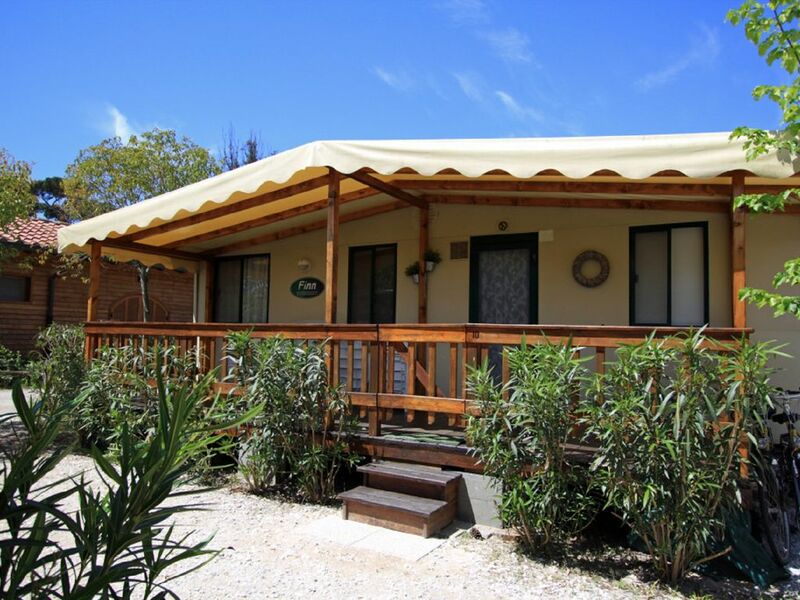 On Camping Paradiso, located in Viareggio / Tuscany (near Pisa in Italy) we rent several mobile homes / caravans. Viareggio is located near Pisa and is easily accessible by plane and by car. The site is located within walking distance of the Mediterranean (1000m), also in the high season runs a taxi bus from the campsite to the beach. The mobile homes are on a well-equipped campsite, with o a.. A pool, playground, restaurant, grocery, WiFi and bicycle rental. The mobile homes have a spacious porch, and further fully equipped you are accustomed to at home. From early spring until late autumn, enjoy the wonderful warm weather, tranquility and space. Also, the central location of Viareggio allows you to make several trips. Florence (110km), Pisa (20 km), Torre de Lago (9 km.) Lucca (30km), Lucarno (44 km). Natuurklijk and the Cinque Terre area (national park), La Spezia etc. The mobile homes are about 8 x 3 and all have a nice big porch. The mobile homes are fully equipped with o. A. Microwave, kettle, coffee machine and air conditioning (for a fee). There is also a high chair and cot (cot) available. Your car can be parked right next to the mobile homes. The mobile homes are suitable for 5 persons (one two-bed, one bunk bed and one bed), a 6th person could possibly still be able to sleep on a sofa bed in the living room. The mobile homes are on a medium sized site of about 450 places, the site is a few years ago completely renovated. Several improvements and innovations in recent years have made. The site is nicely quietly situated on the edge and within cycling distance from Viareggio with a long buzzing boulevard. The wide sandy beach and reach the wide boulevards are within walking distance (15-20min), and in the summer season, the campsite has a free shuttle bus. Reception, here besides Italian, English and German spoken. Bar that morning a cappuccino with a croissant or other sandwiches and cozy evenings on the terrace of the bar drinking a prosecco. music evenings are organized on the square in the piazza. Camping supermarket, this is almost always open. Every morning fresh bread and rolls. Tuscany is ideal for excursions. Besides the beautiful and long sandy beach, there are plenty of options. What do you think of Florence (110km), Pisa (20 km), Torre de Lago (9 km. ), The birthplace of Puccini, where every year in the open-air theater, the Puccini festival is held. Lucca (30km), Lucarno (44 km). Natuurklijk and the Cinque Terre area (national park), La Specia etc. Tuscany is ideal for excursions. Besides the beautiful and long sandy beach, there are plenty of options. What do you think of Florence (110km), Pisa (20 km), Torre de Lago (9 km. ), The birthplace of Puccini, where every year in the open-air theater, the Puccini festival is held. Lucca (30km), Lucarno (44 km). Natuurklijk and the Cinque Terre area (national park), La Specia etc.